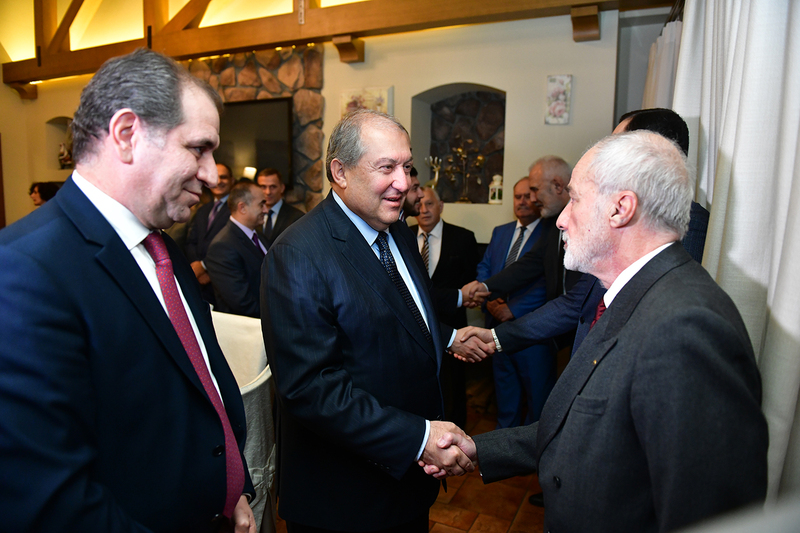 President Armen Sarkissian, who is in the Republic of Belarus on a working visit, and his delegation in the evening of October 29 met with the representatives of the Armenian community of Belarus. 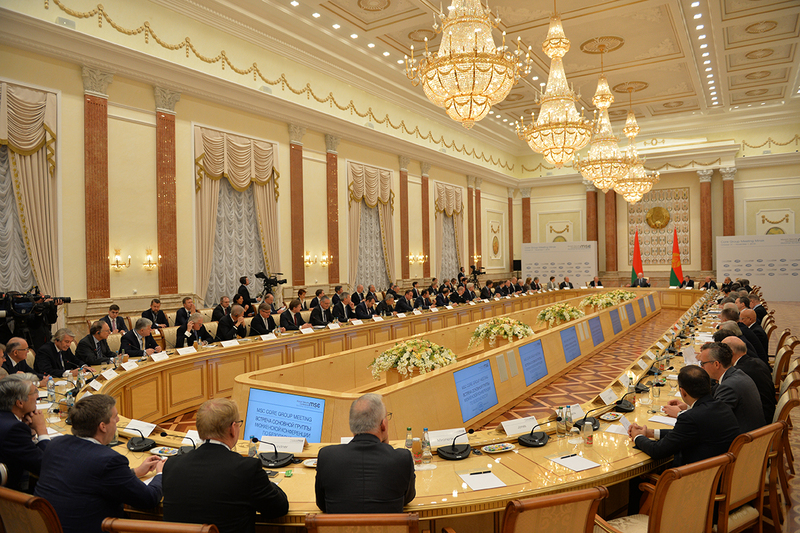 The President greeted the participants of the meeting who represent not only the community organizations but also business and scientific circles of Belarus. 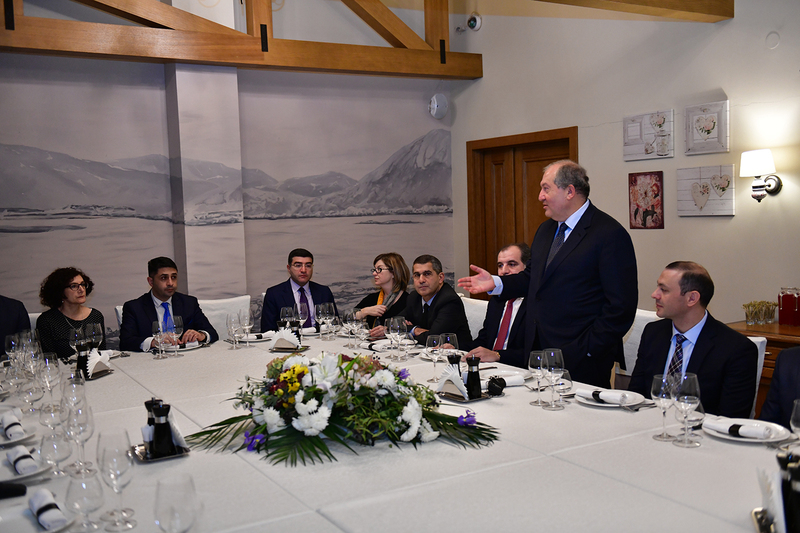 “For me, it is important and pleasing to start visits abroad with the meetings with the Armenian community because it gives a feeling of being in a dear place. 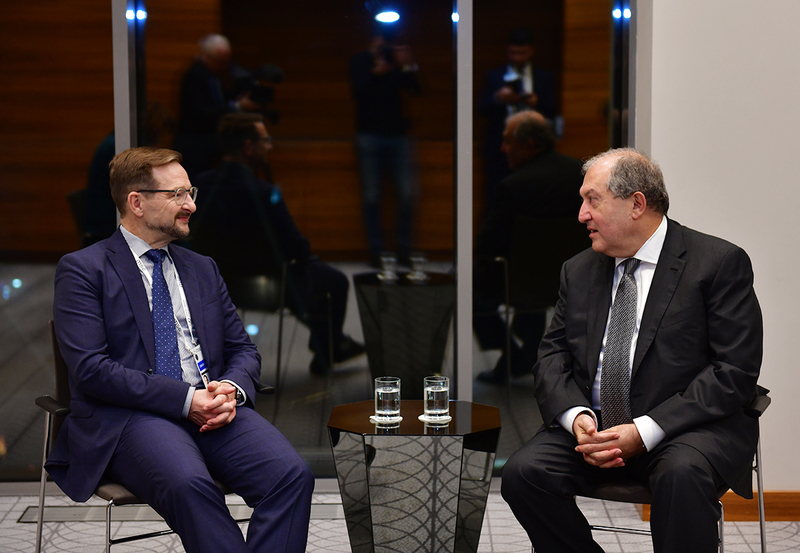 I would like our dialogue to unfold, would like to hear about the issues that concern you and your anticipations from the Armenian authorities,” the President of Armenia said. 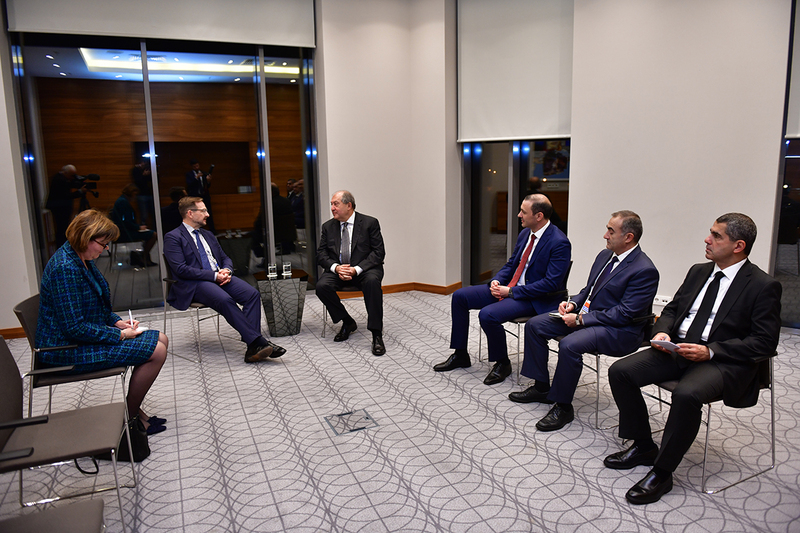 During a candid conversation, discussed were the Armenian-Belarus relations, the role of the Armenian community in deepening the bilateral economic and cultural ties, opportunities to implement joint programs, as well as issues related to the community’s daily life. 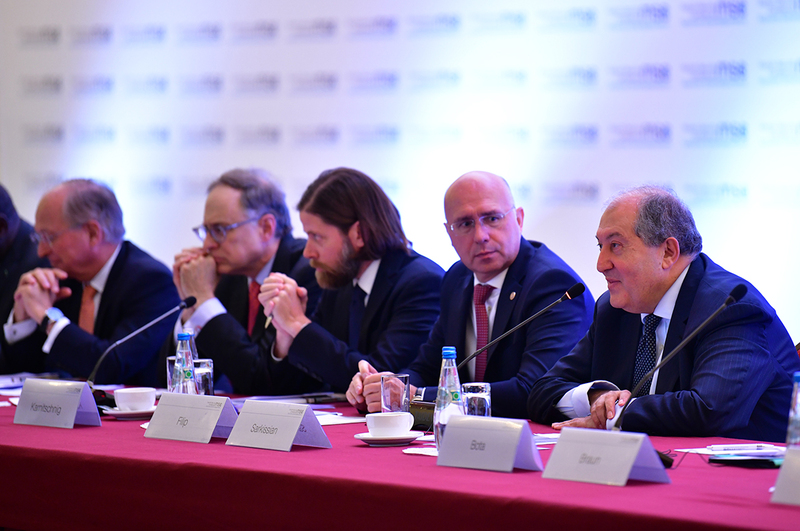 They also spoke about Armenia-Spyurk relations, avenues to use potential existing in Spyurk, and Armenia’s development prospects. 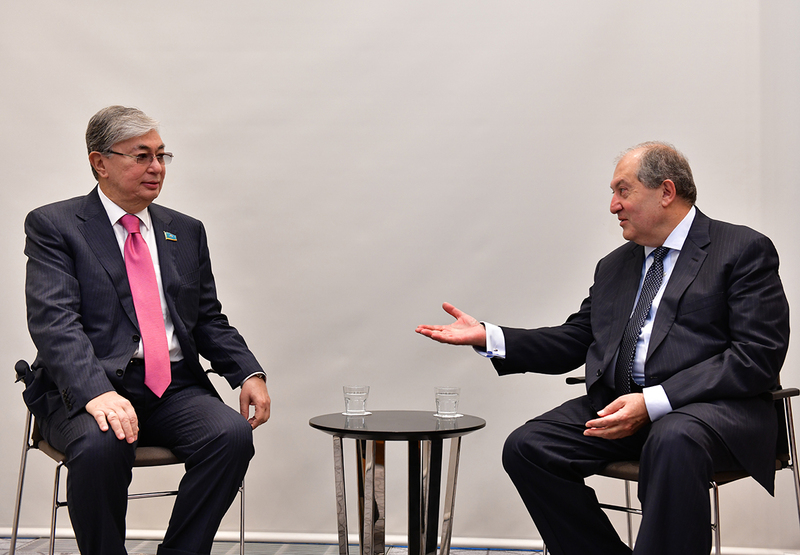 President Sarkissian responded to the questions related to Armenia’s internal and foreign policies, as well as shared some information on the meetings to be held in the framework of the visit. 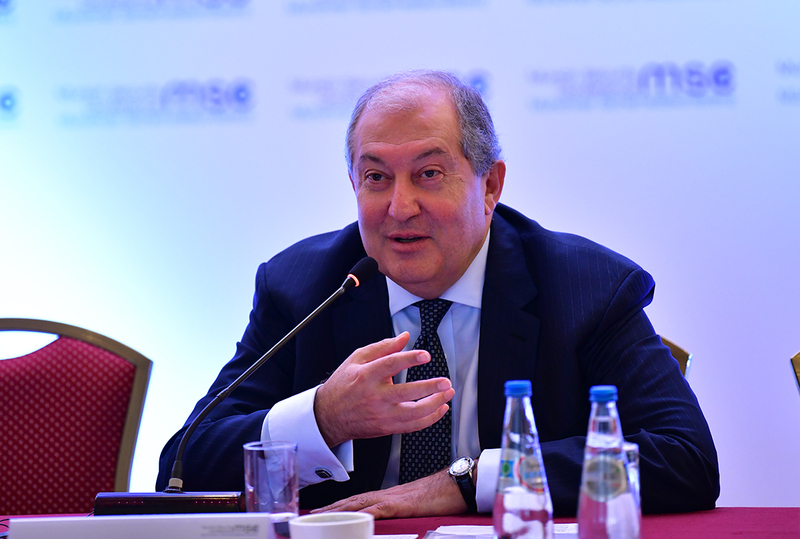 Speaking about the participation of the Armenian delegation in the meeting of the Core Group of the Munich Security Conference, President Sarkissian highlighted the importance of Armenia’s presence in different international organizations and reputable platforms which provides our country with the opportunity to present itself anew in international relations. 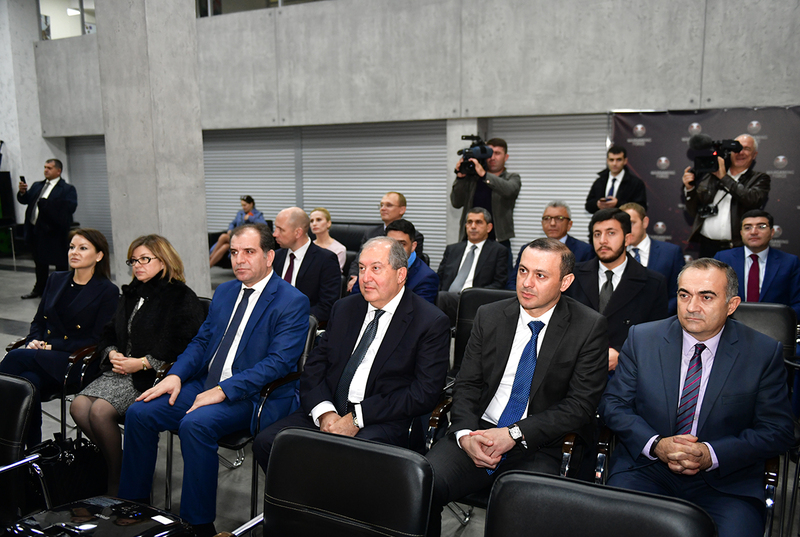 Representatives of the community spoke of the importance of such meetings with the leadership of Armenia and noted that they allow to feel that they are part of Fatherland, to learn about events in Armenia and to engage as much as possible in the task of building the economically strong and prosperous Armenia. 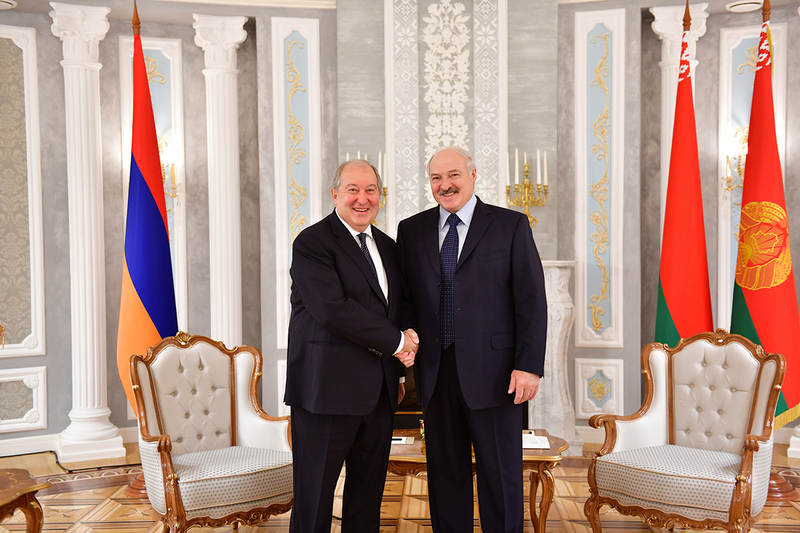 In Minsk President Armen Sarkissian met with the President of the Republic of Belarus Alexander Luckashenko. 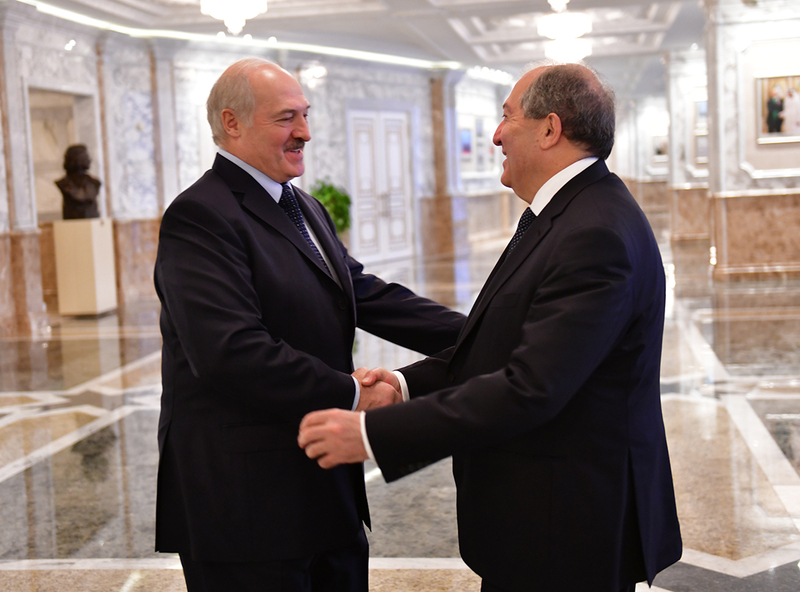 Alexander Lukashenko saluted President Sarkissian’s visit to Minsk and noted that he was glad to welcome his Armenian colleague to Minsk in the framework of the Core Group meeting of the Munich Security Conference. 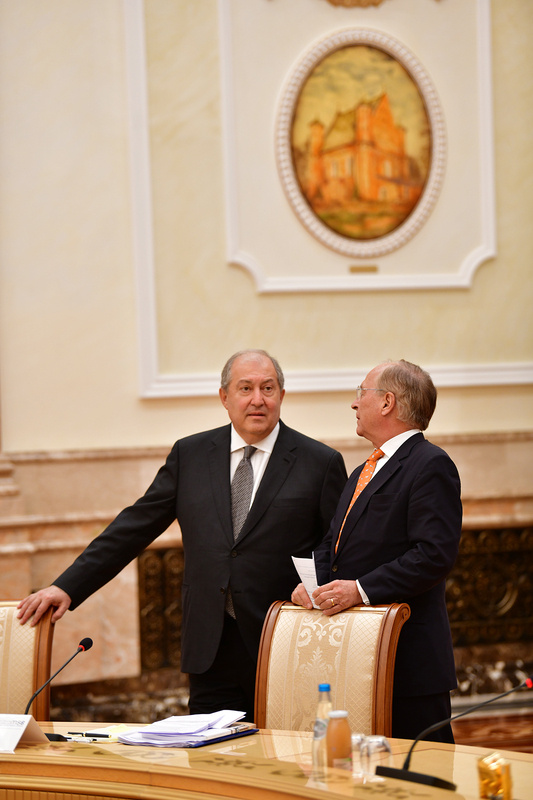 “That’s good you have come to Belarus. 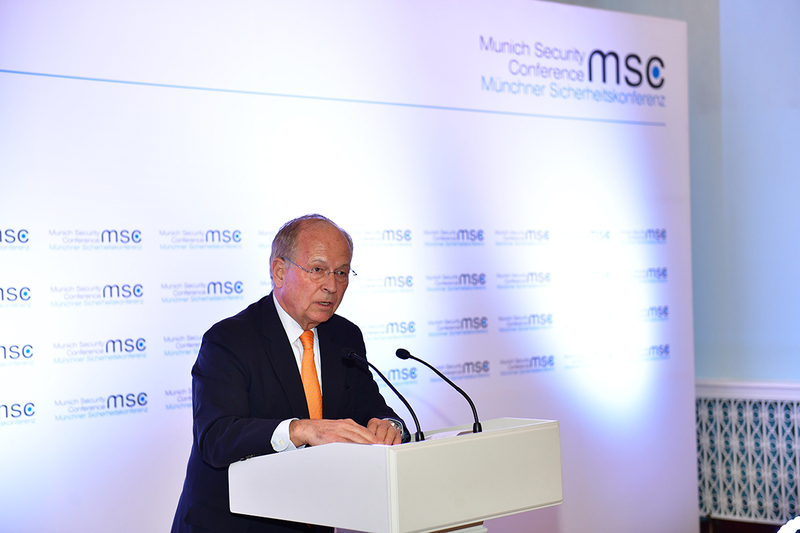 Tomorrow, we have an important meeting on security issues which will take place in the framework of the Munich Group. 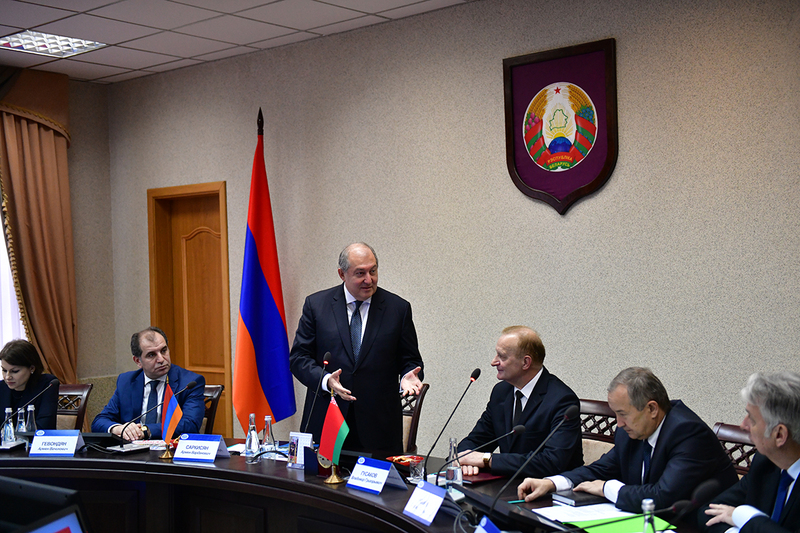 Your visit to Minsk and participation in the meeting on that topic tells that Armenia is not simply concerned with the problem but it is also very important for the Armenian people. 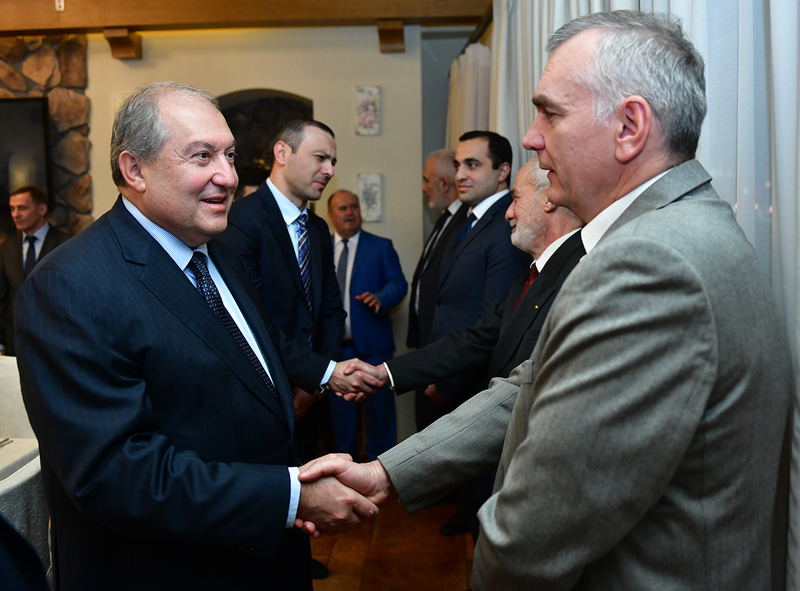 You should know that regardless of different comments, Belarus has always been and will be the democratic Armenia’s good and trusted friend. 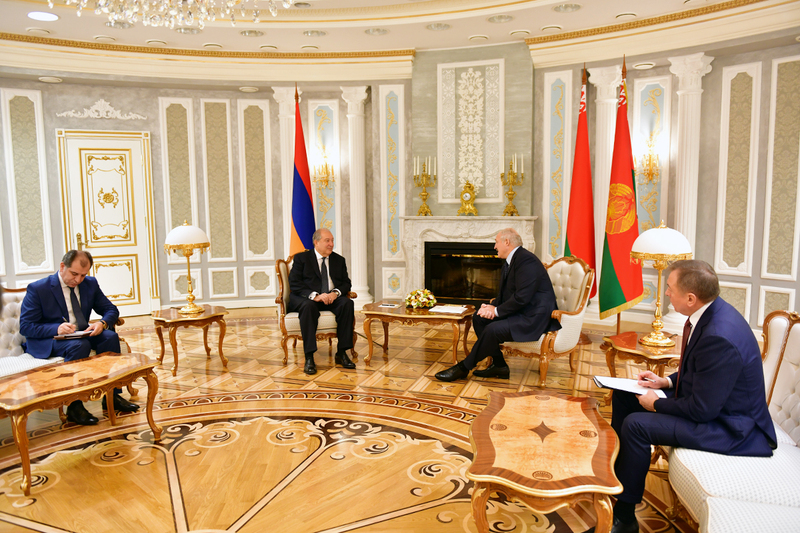 We work together in the same economic platform – EAEU, work in the military and political union – CSTO and fulfill our obligations and everything else within the framework of these organizations persistently. 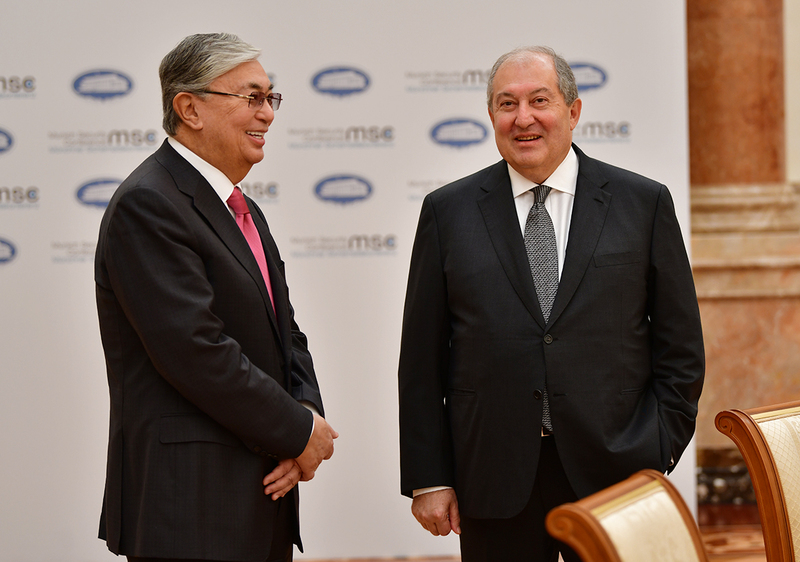 As for the base of our relations, the turnover, it should be noted that it is growing. 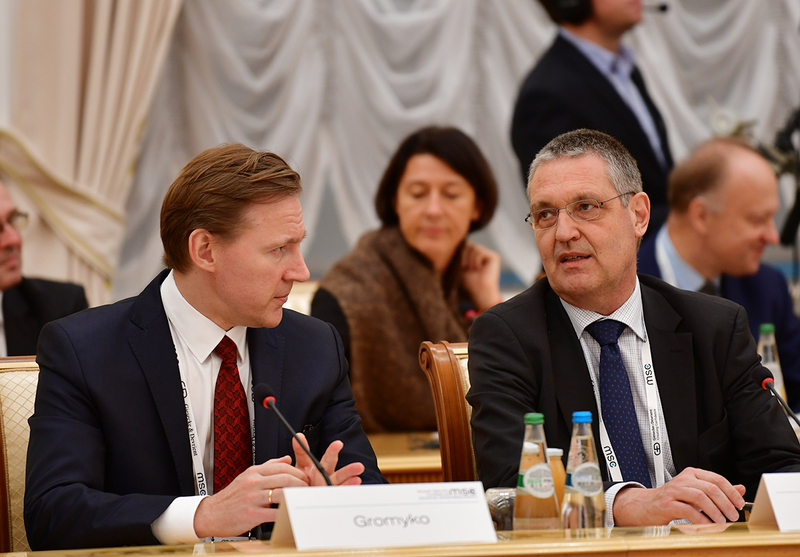 Last year we registered a rapid growth, close to 45-50 million USD. 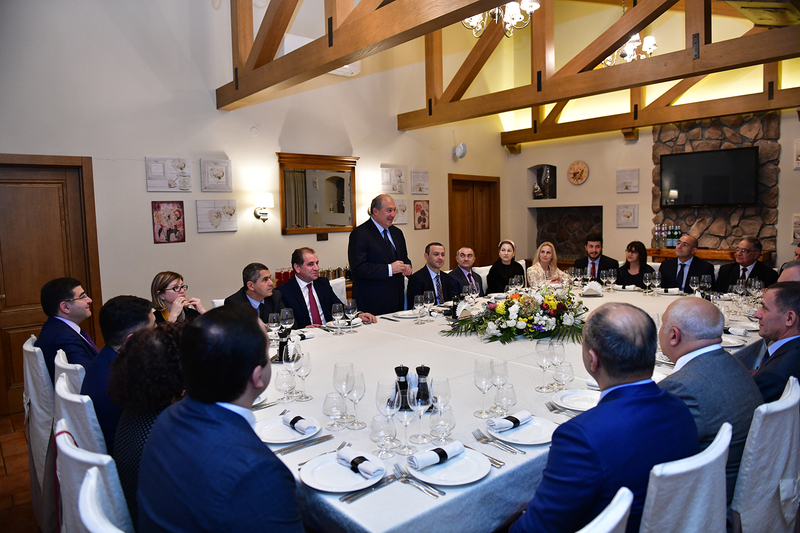 That’s a good result, however if we speak of potential regarding the goods which are in great demand here and the goods which are in great demand in Armenia, these numbers are not big enough. 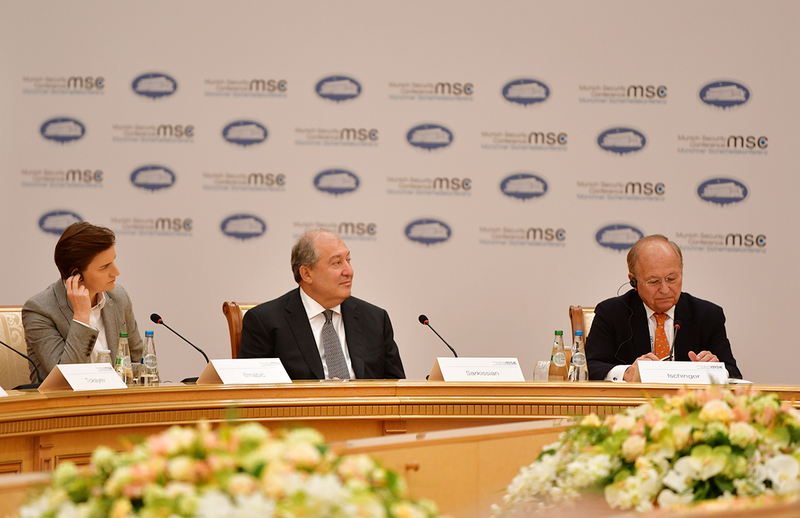 We can have a turnover close to 150 million USD which would elevate our relations to a higher level. You know our capacities, we know yours. 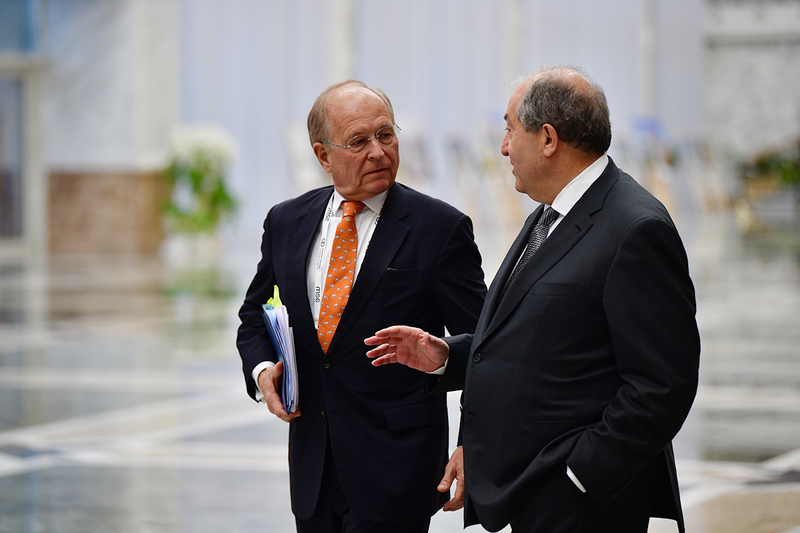 Thus, any proposal made by Armenia we will consider in a short period of time and will adopt a corresponding decision. 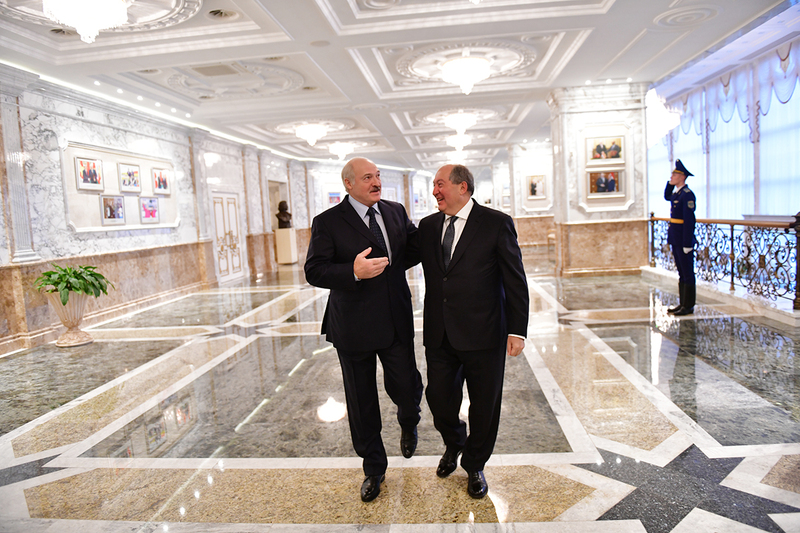 I know that you’re going through complicated democratic changes, one cannot escape that, and of course, to receive firsthand information, from my friend and colleague is very important for me,” the President of Belarus said. 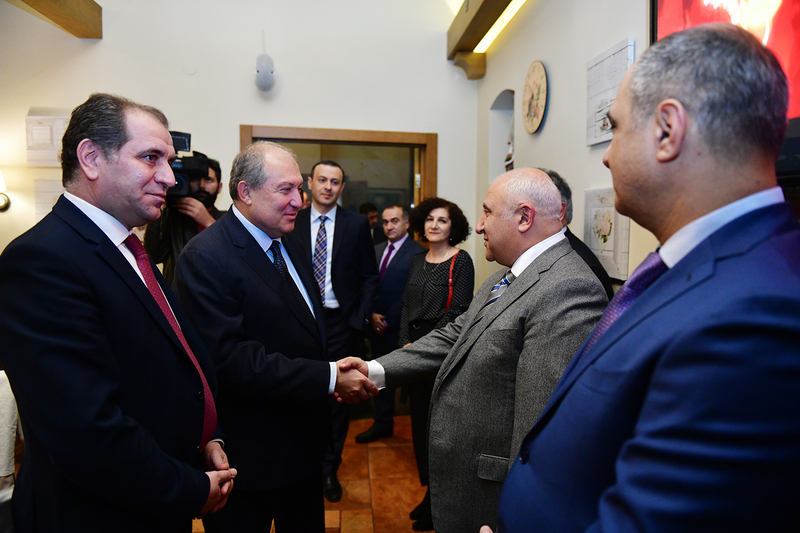 President Armen Sarkissian thanked for the welcome and noted. 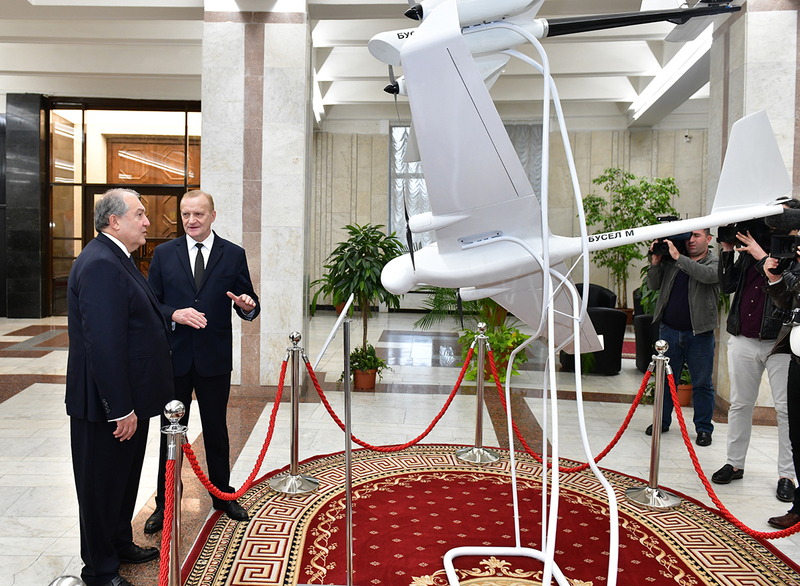 “I too, would like to start with the dramatic days of April-May and use the opportunity, here, in the wonderful city of Minsk to personally thank you for the support and friendship which you manifested in those days. 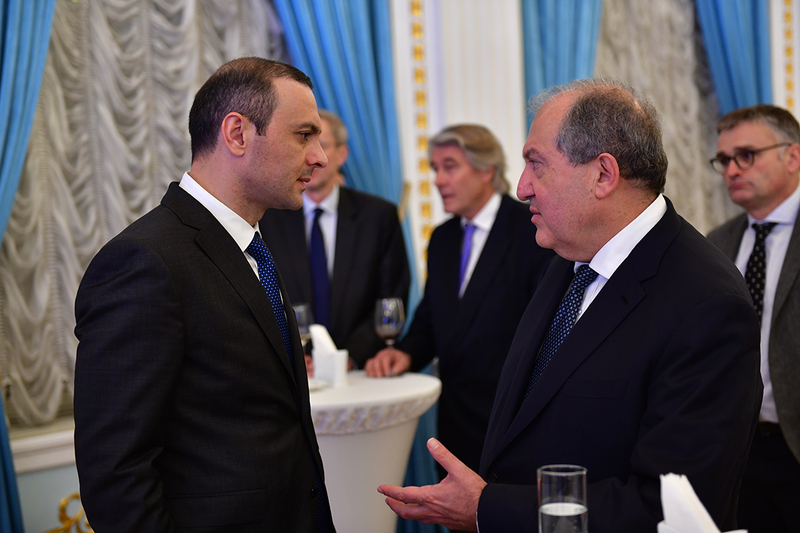 As president and as a person, I will never forget the attention which I received from you. 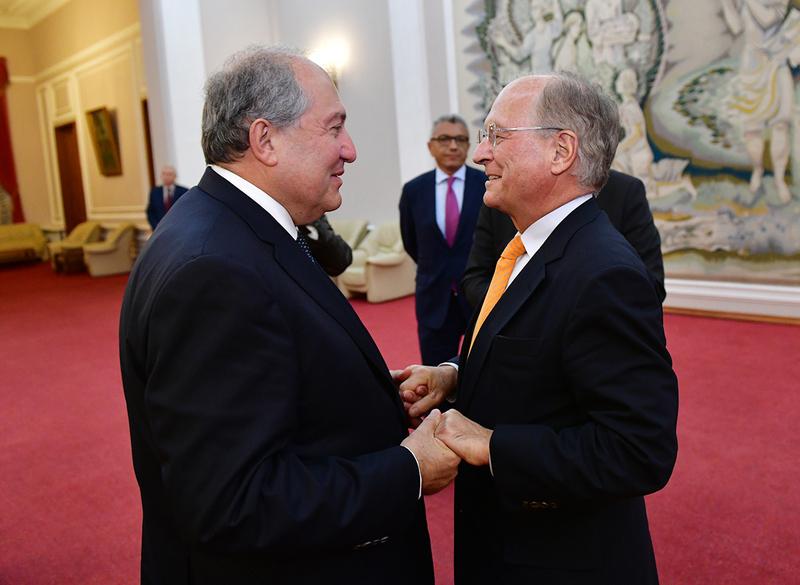 Your calls were not just diplomatic or political calls, those were the calls from a friend who was not only interested but for whom it was painful and pleasing at the same time, a person, a friend who wanted to know and to help. 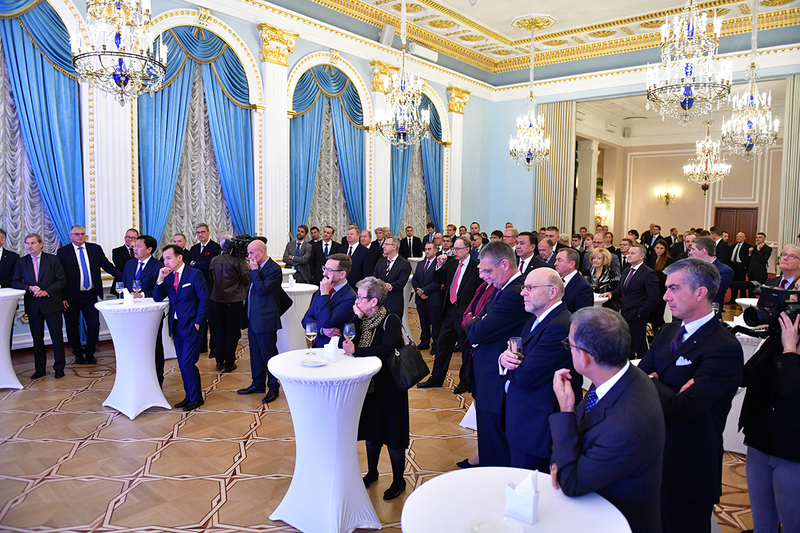 In those days, it was the greatest support for me, at the times when in our country we were going through tremendous changes. On the surface, everything seemed to be all right, no drama, thanks God, no human losses but it wasn’t easy anyway. 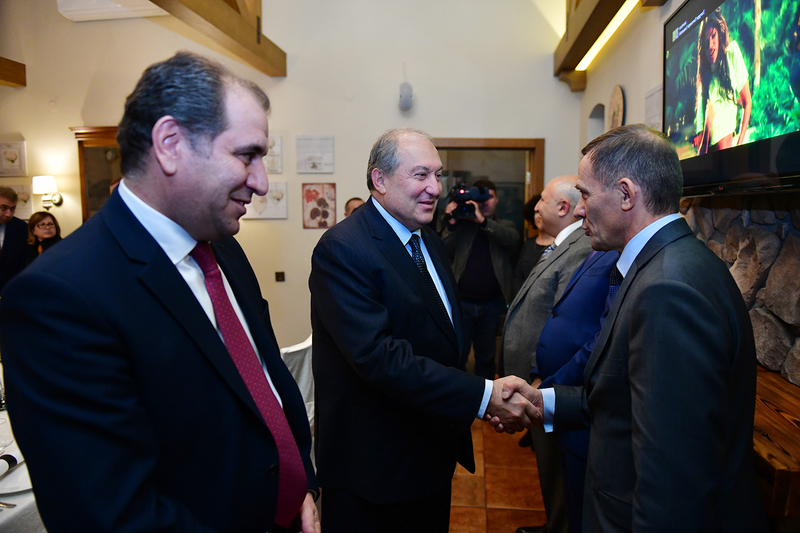 And I greatly value your support and wish you to know about it, so I want to thank you personally. 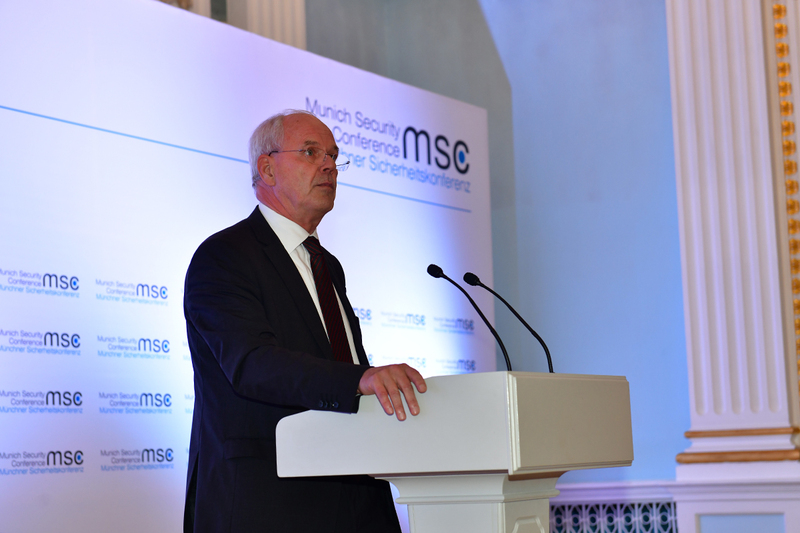 Yes, I have arrived here to participate at the Munich Security Conference. 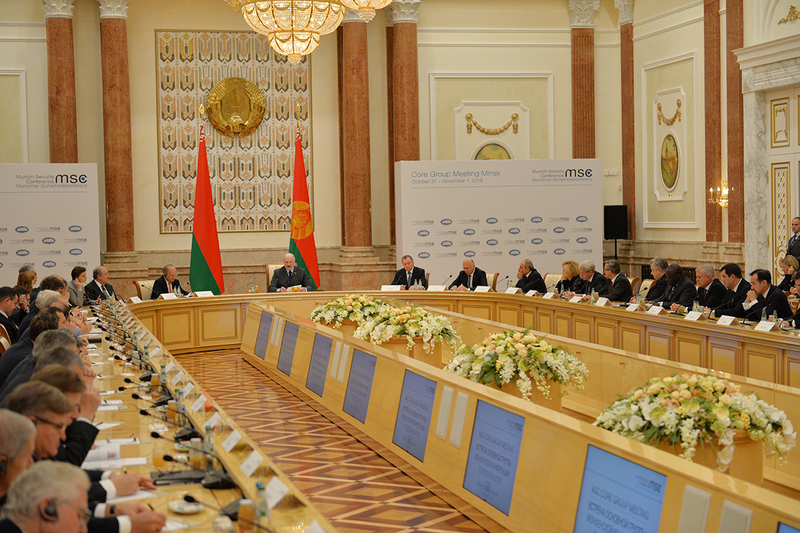 It’s very nice to be in Minsk which is a special city. 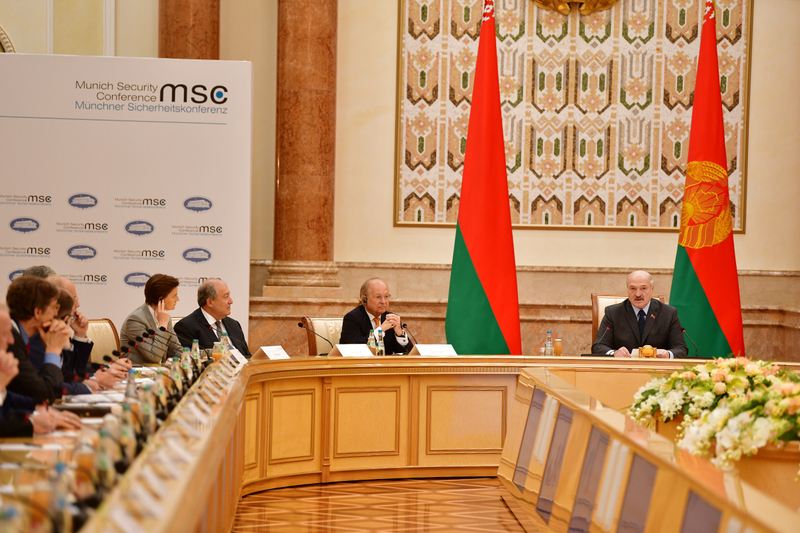 I think, Belarus is an example of stability and predictability. In the new world we are living in, such traits are rare. 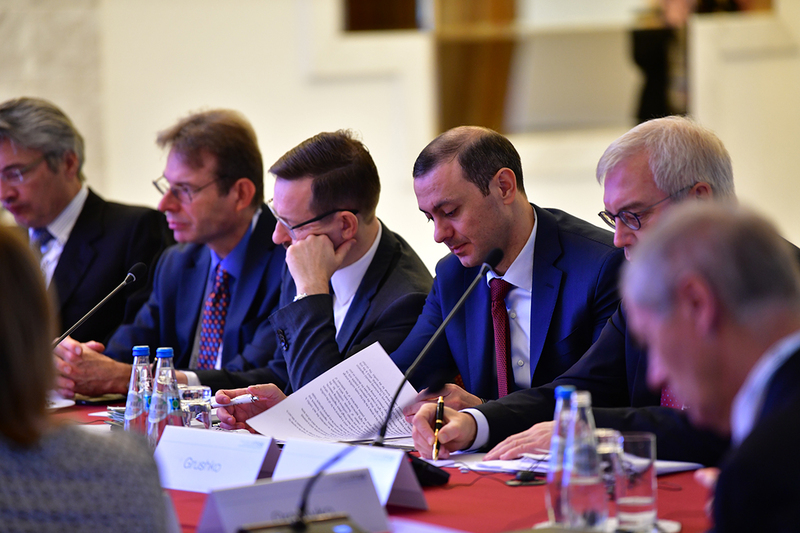 Not only regions but the world has become unpredictable, has become unstable and the countries, which have these two traits are praised highly by me, by me friends in Belarus, and by the international community in general. 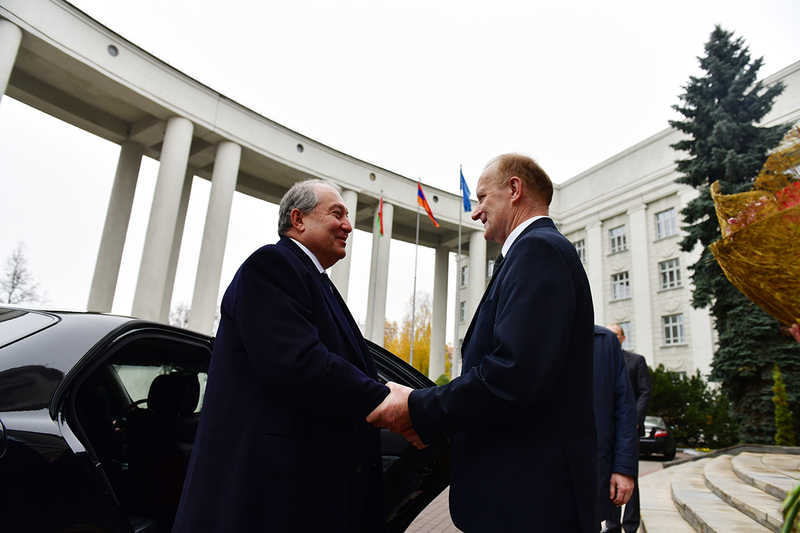 President Armen Sarkissian, who is in Belarus on a working visit, on October 30 visited the National Academy of Sciences of Belarus. 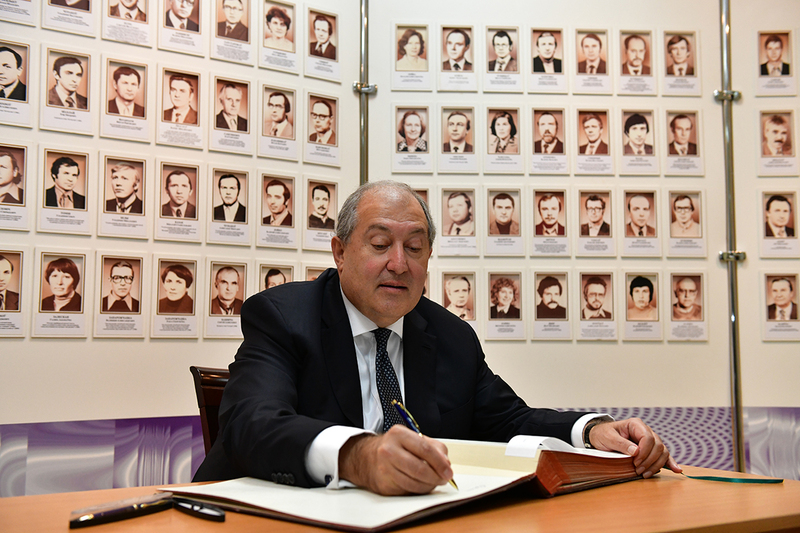 Armen Sarkissian underscored that for the first time he visited the Academy of Science of Belarus as a young man in 1976 to participate at the works of the international conference on physics. 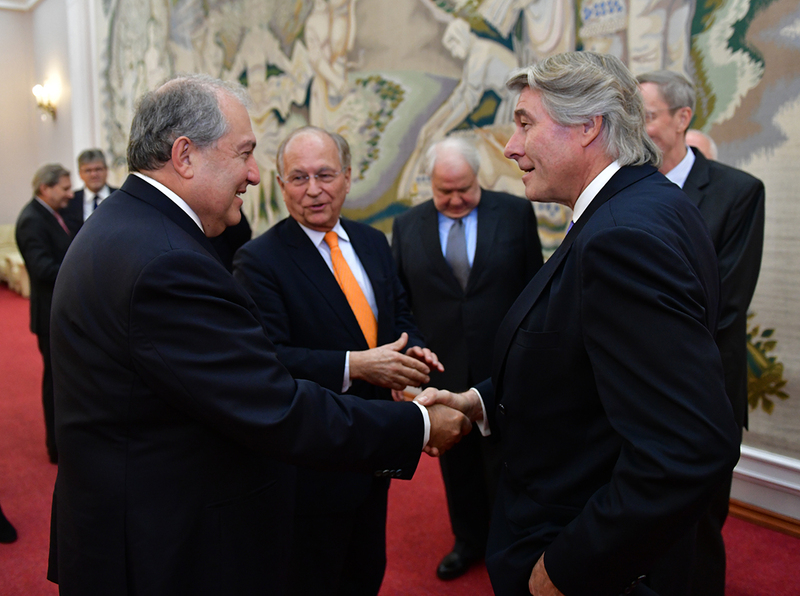 According to the President, friendship and cooperation between the Academies of Sciences of our two countries are of great value. 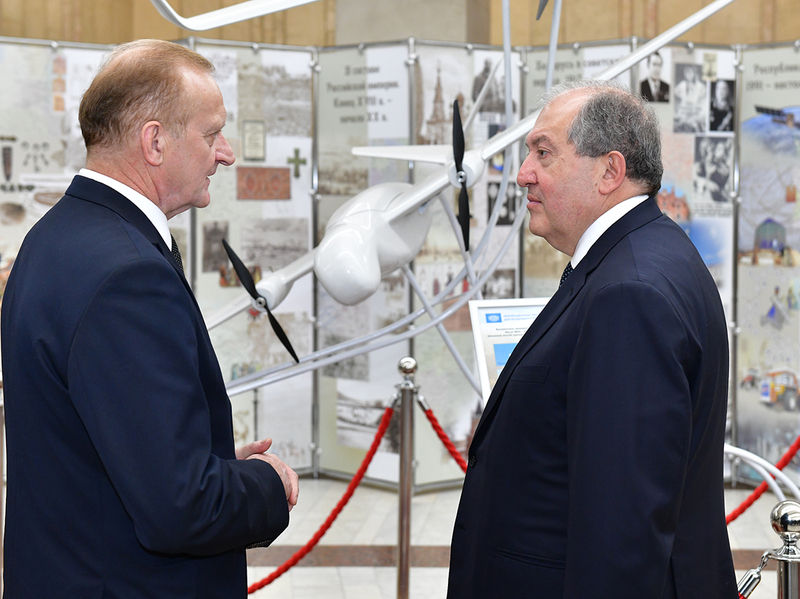 Accompanied by the leader of the National Academy of Belarus Vladimir Gusakov, President Sarkissian first visited the exhibition on display in the Academy titled “Achievements of the National Science for the National Economy”, familiarized with projects in the areas of energy and energy saving, laser and nanotechnologies, defence and national security, and a number of other areas. 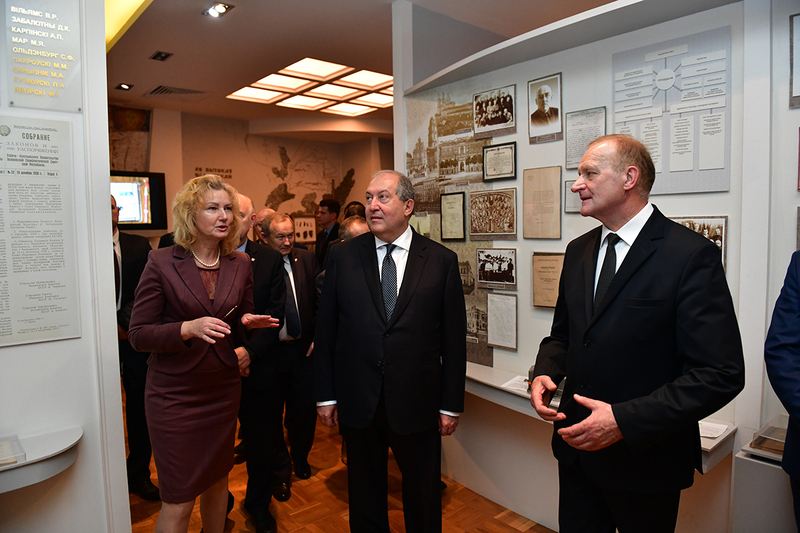 The President visited also the Museum of History of the Academy and made an inscription in the Book of Honorary Guests. 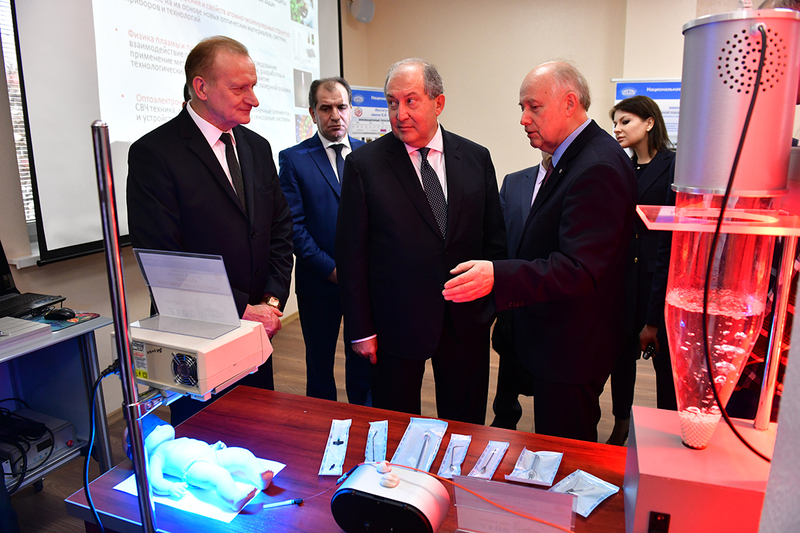 Later, at the meeting with the leadership and employees of the Academy of Sciences of Belarus, President Sarkissian spoke of deepening the scientific and technical cooperation between the two countries as well as of strengthening the ties between the two Academies. 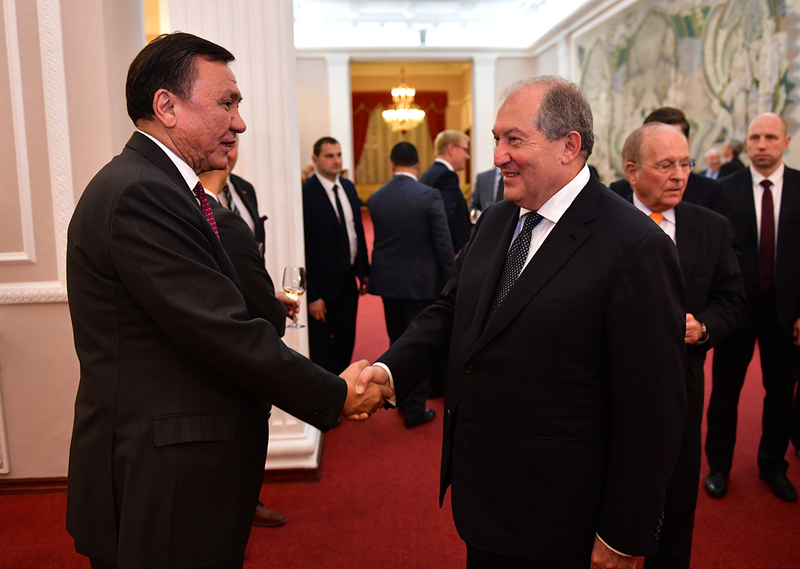 “Each of our independent Republics today is following its own path, but I believe we still have many things in common, science and education are among them. 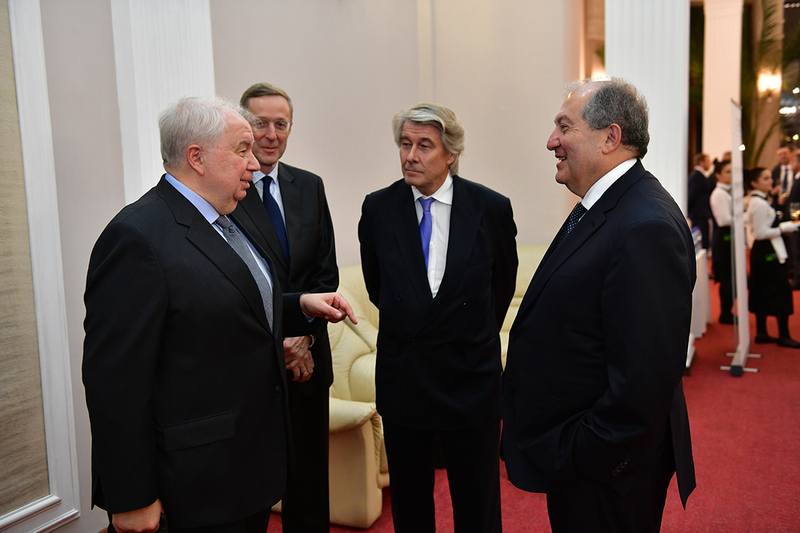 Because of that very reason, cooperation between the Academies is of great importance. 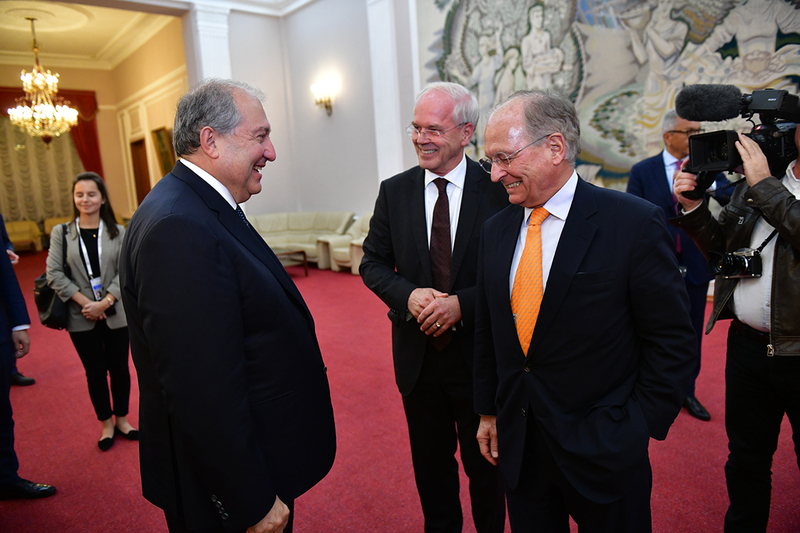 Armenia is a small country but has an advanced academic and scientific structure and it will have its impact on Armenia’s future. In your Academy, I have also seen the future. 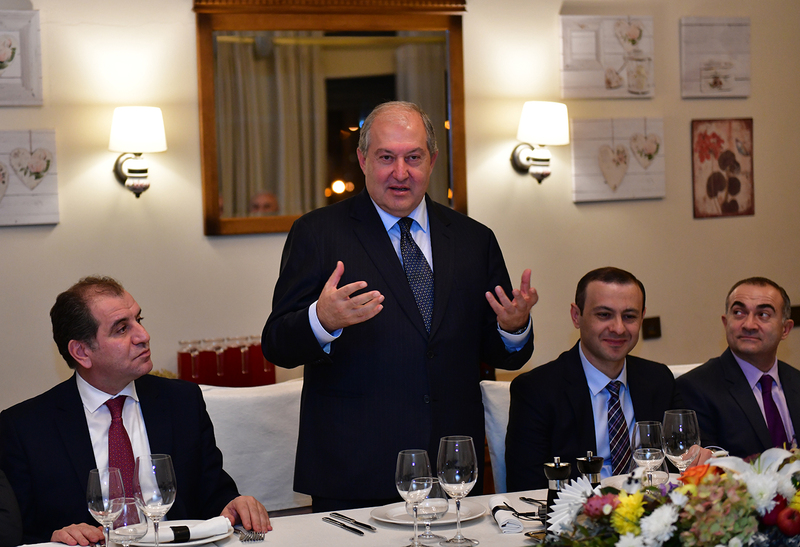 It is commendable that your range is very wide – from agriculture to the most modern areas,” the President of Armenia said. 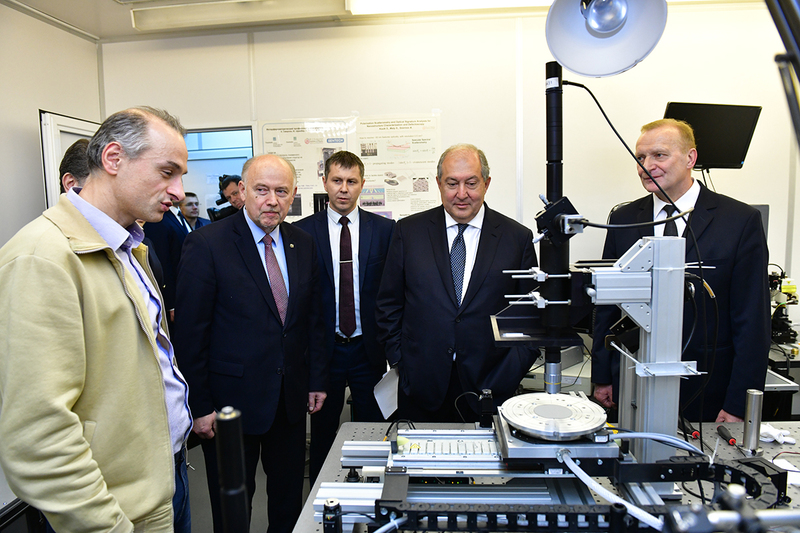 He commended in particular the fact that the Academy in Belarus maintains close relations with industry and many of the scientific research results applied in industry are coming from the Academy. 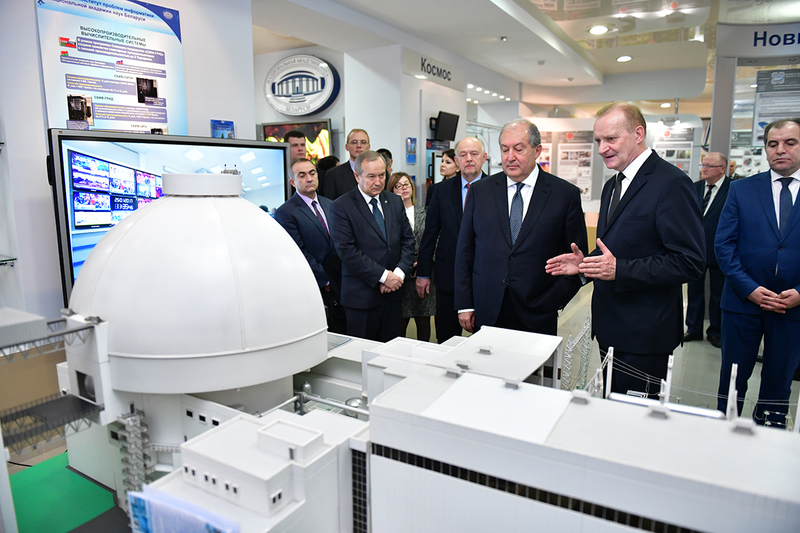 According to the President, there are many directions to work on among them laser and digital technologies, nuclear energy, food production and especially food security area. 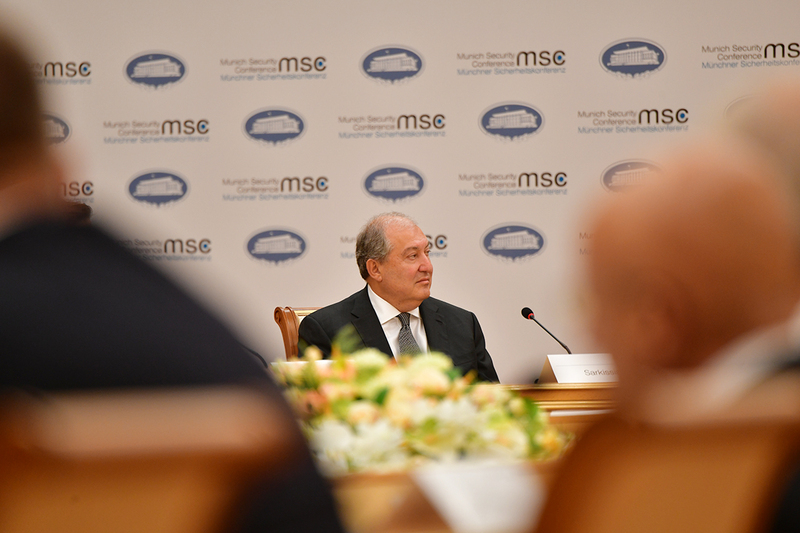 “I see myself a number of areas in which we can collaborate and work together again, now directly. The time to make tuning is now, i.e. 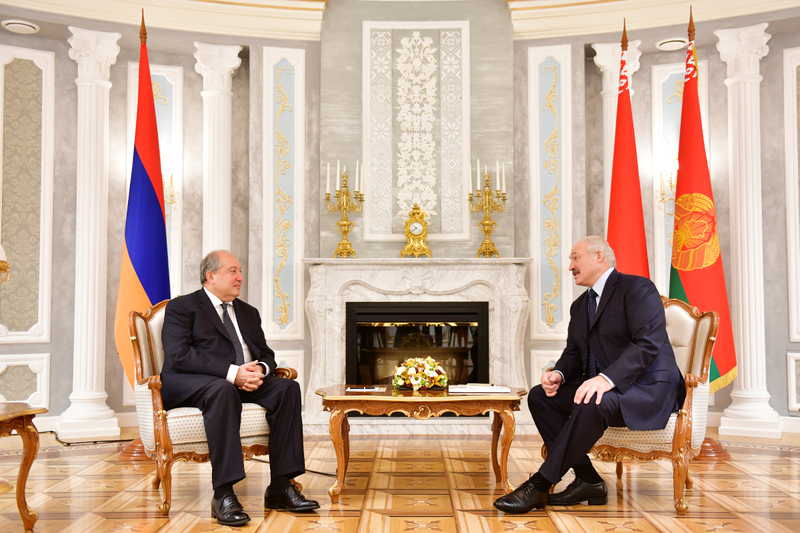 the time is to find a common problem, which we can solve with joint efforts and find the points where we can complement each other,” the President of Armenia underscored. 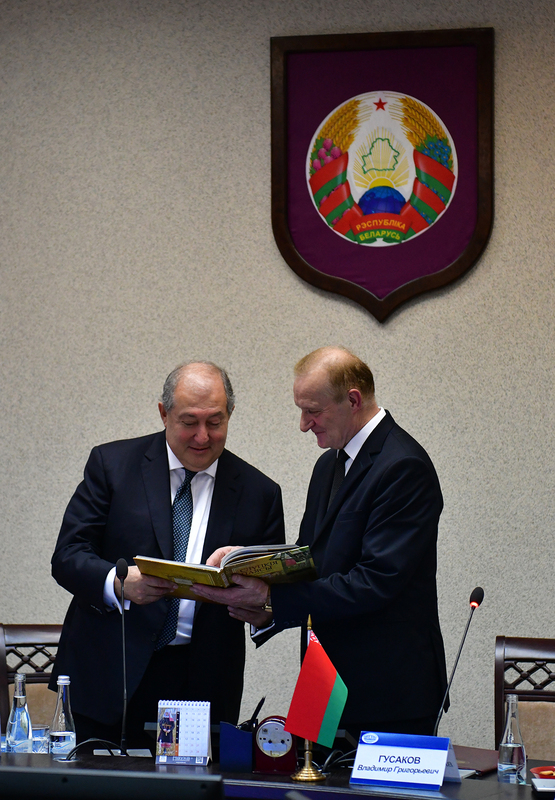 He added that he will do his best to develop cooperation in the area of science between the two countries. 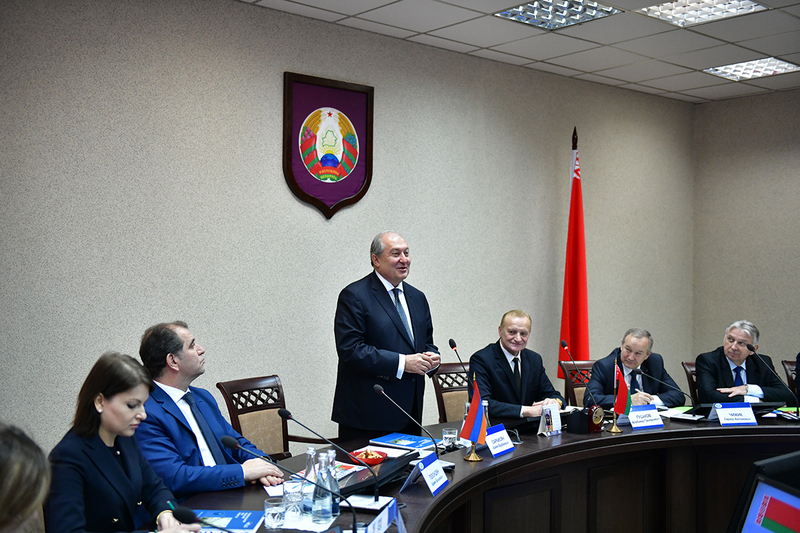 President Sarkissian visited also the B. Stepanov Institute of Physics of the Academy of Sciences of Belarus, familiarized with the areas of the Institute activities and conducted research. 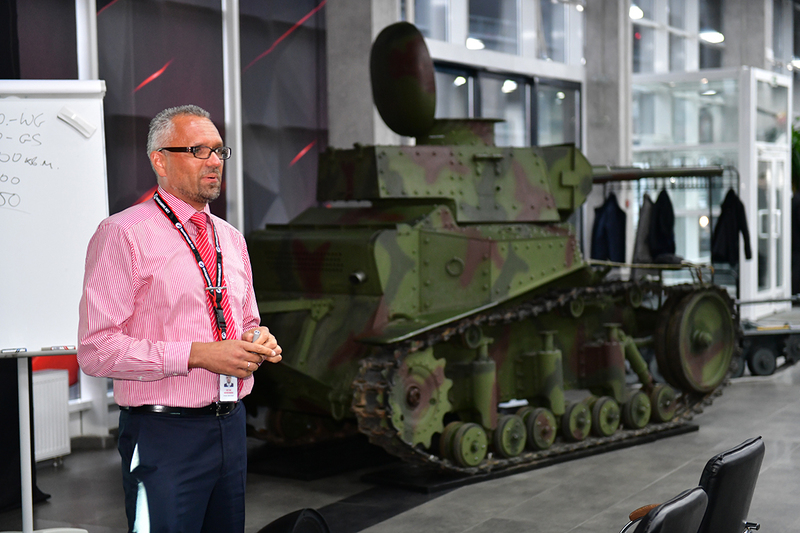 In the framework of his working visit, the President of Armenia attended also the Wargaming company famous in the area of computer games which has developed in particular the World of Tanks computer game. 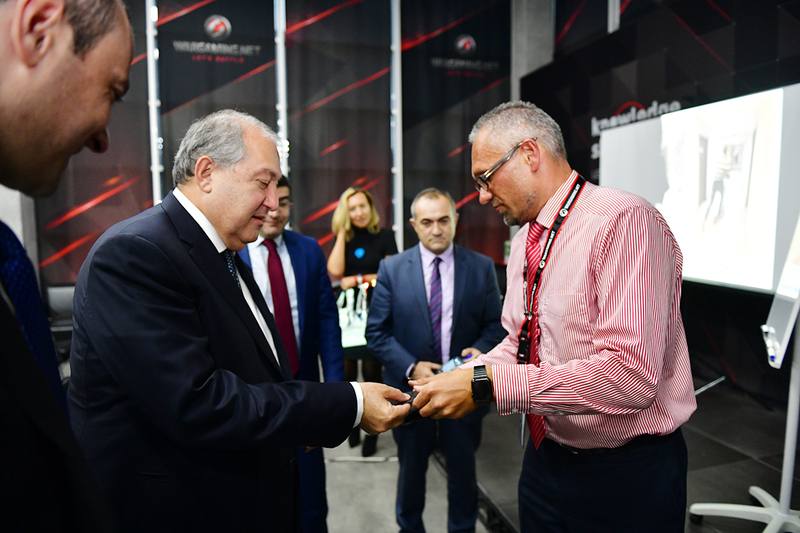 The leadership of the company presented to Armen Sarkissian the areas of the Company’s activities, their success story, and development programs. 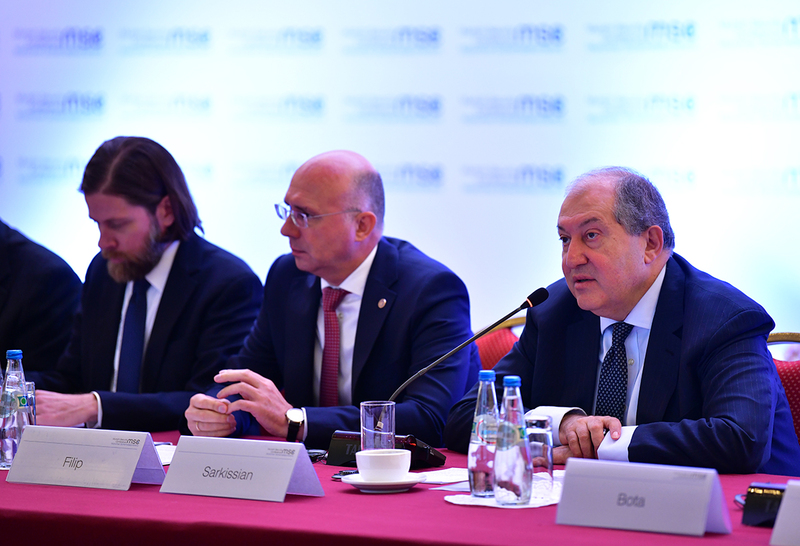 President Armen Sarkissian participated at the Core Group round table discussions of the Munich Security Conference (MSC) in Minsk on the East-West relations. 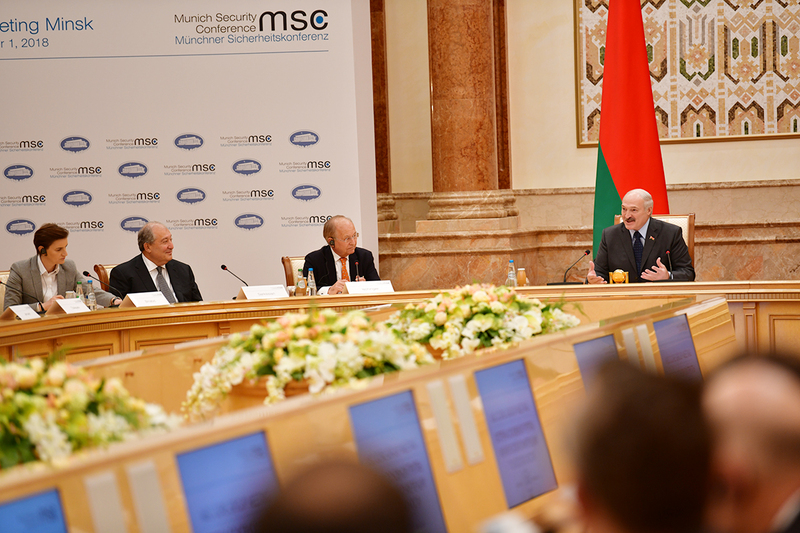 President of Belarus Alexander Lukashenko opened the meeting and the discussions were mediated by the President of the MSC Wolfgang Ischinger. 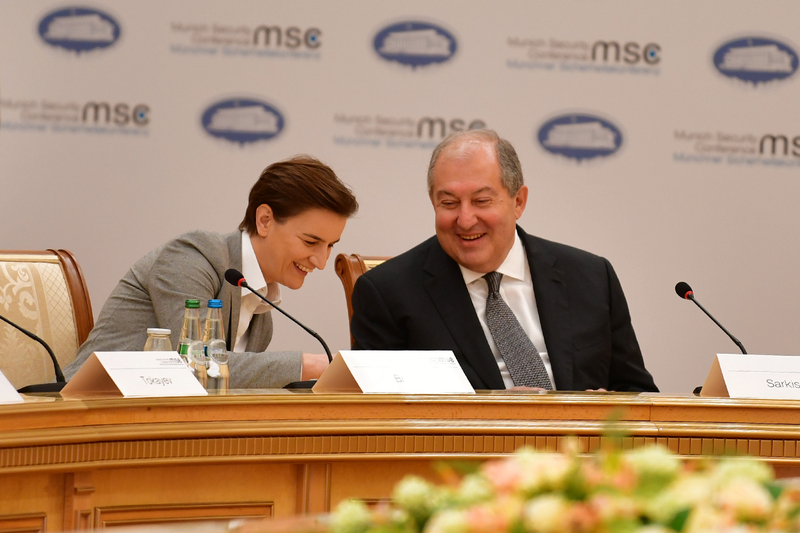 The MSC Core Group is an influential and representative platform for discussions on international security policies which allows high level officials to talk about pressing issues of international security. 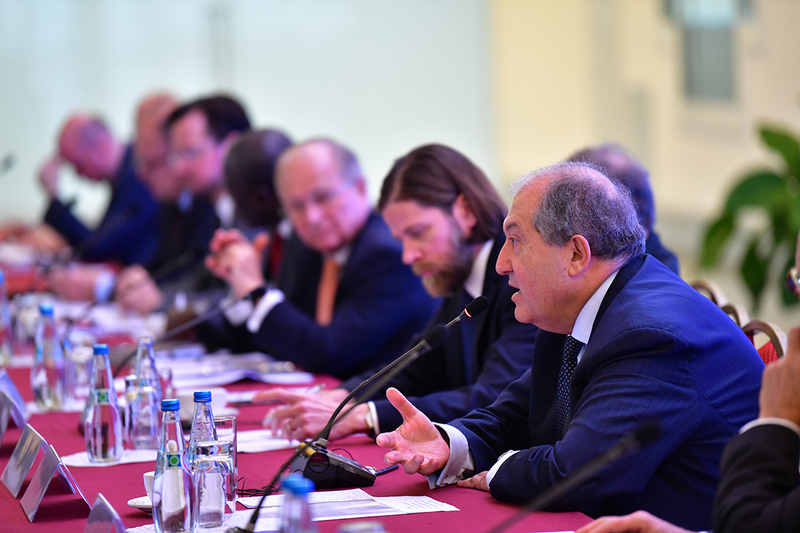 On November 1, President Armen Sarkissian will make a statement on the topic of regional conflicts. 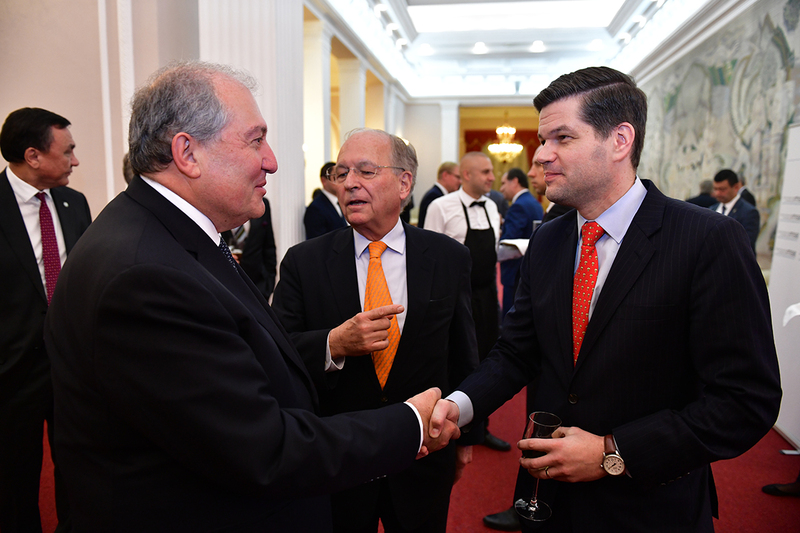 Yesterday, the President of Armenia participated at the reception invited in the honor of the participants of the Munich Security Conference. 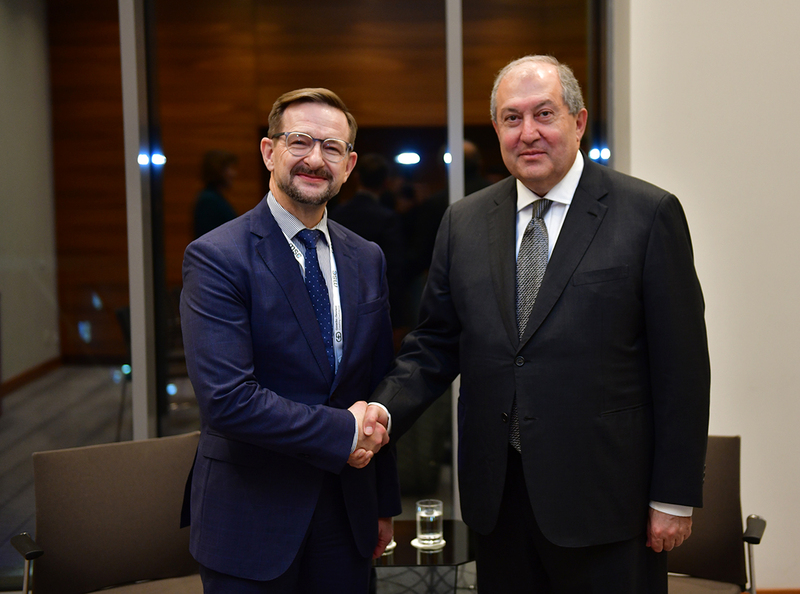 President Armen Sarkissian, who is in the Republic of Belarus to participate at the works of the MSC Core Group, in the evening of October 31 met with the Secretary General of the Organization for Security and Cooperation in Europe (OSCE) Thomas Greminger. 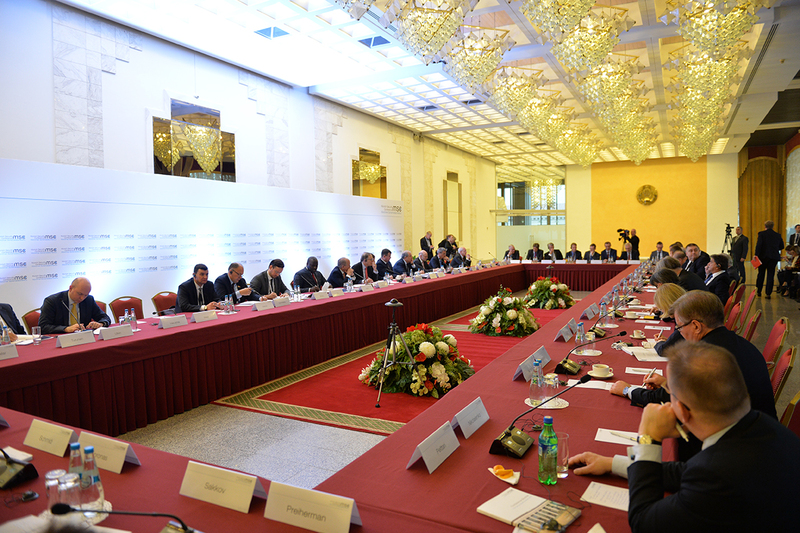 At the meeting, the parties exchanged views on different issues related to the OSCE activities in various areas. 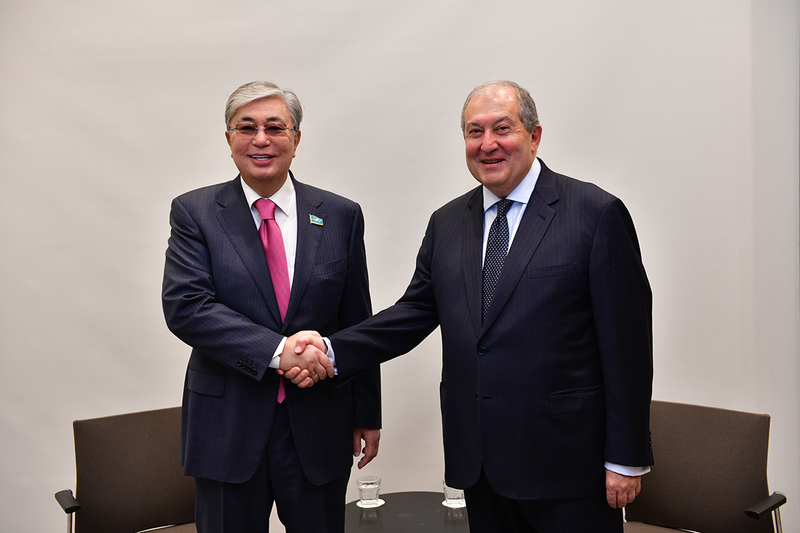 President Armen Sarkissian met in Minsk with the President of Senate of Kazakhstan Kasim Zhomart Tokaev. 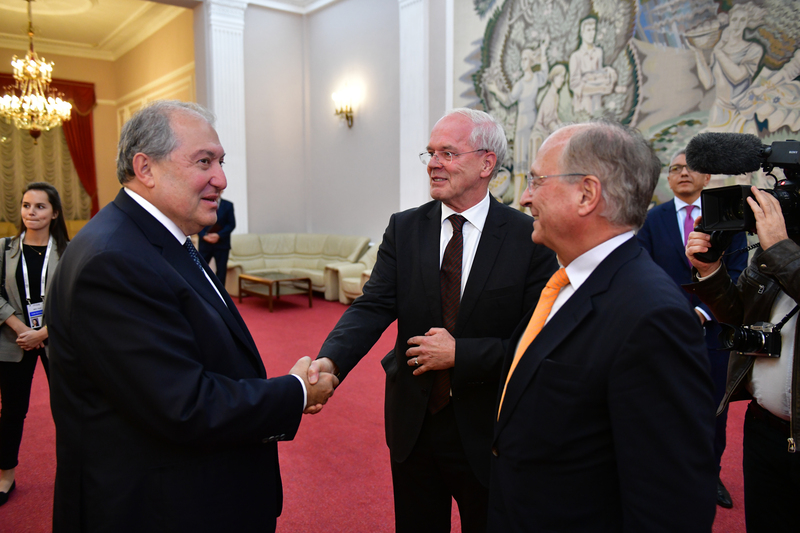 The parties exchanged views on the prospects of development of the Armenian-Kazakh mutually beneficial cooperation in different areas. 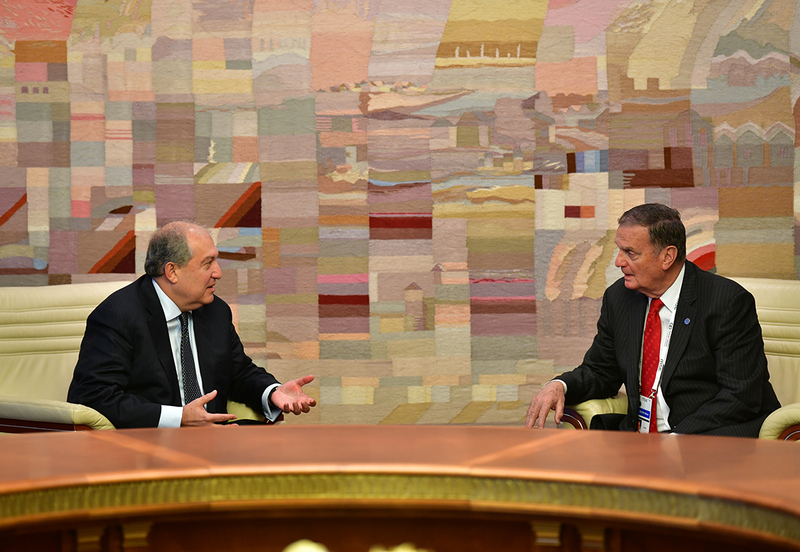 President Armen Sarkissian, who is in Minsk to participate at the MSC Core Group meeting, met with the Advisor on the National Security at the Administration of the former US President Barack Obama, former Supreme Allied Commander of NATO Military Forces James Jones. 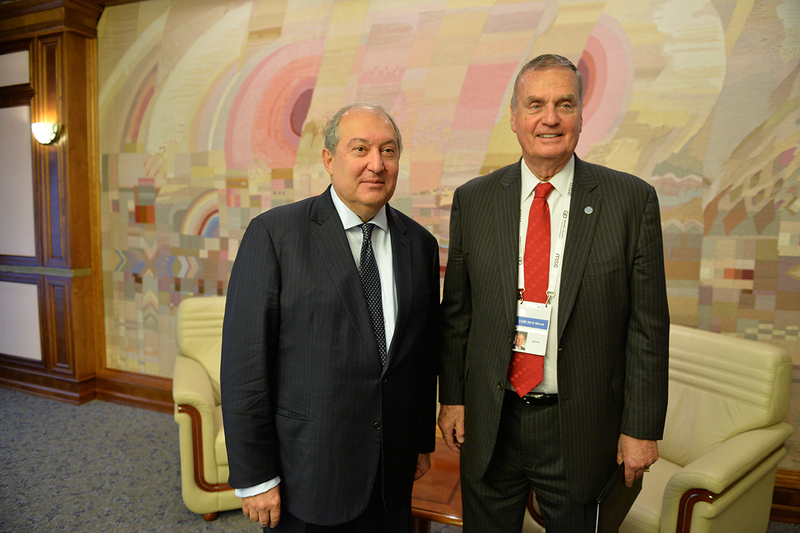 The parties exchanged views on global security related issues.